San Dimas, home of Bill and Ted and California&apos;s largest water park. Hot as holy hell 10 months out of the year. Thank God for Yogurtland. 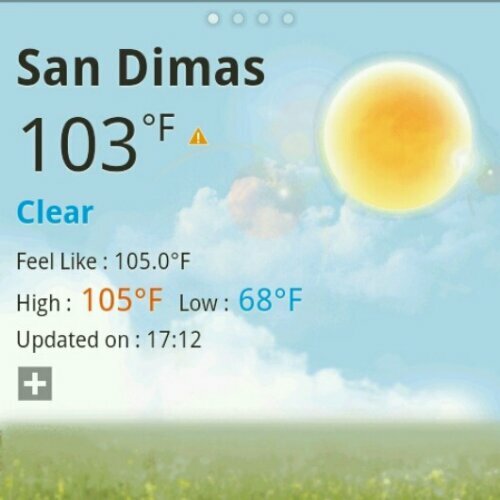 It’s 10:37 a.m. in picturesque San Dimas, CA and I already have a bra full of sweat. In 10 days I’ll be leaving this my majestic Western-throwback hometown for a few days in Brooklyn before I move to Madrid to teach primary school English (haven’t even bought one of them new-fangled “spinner”suitcases yet, but I have the upper body strength of an octogenarian so you bet I will). But in the meantime in order to offset my expenses (mostly in the form of ice cream pie and H&M basics) as an unemployed bum loafing around my parents’ house for 2 weeks I’ve been helping out with the family business. 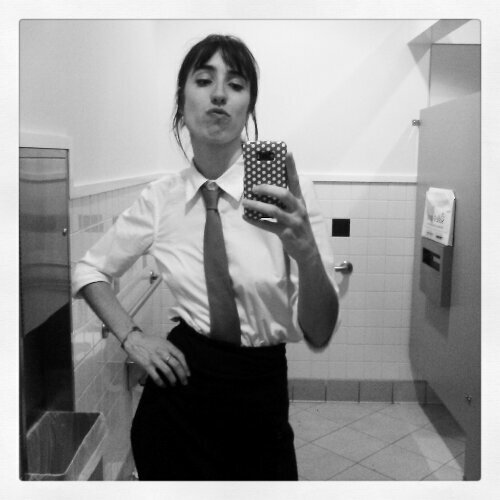 Here’s a sassy selfie of me cleaning a bathroom in my catering attire. Because a girl’s gotta do what a girl’s gotta do, and there ain’t no shame in hustlin’ for that dollar, which will soon translate into tapas and libations in my craw on some terrace in the Bohemian part of town. Even if it means getting into a bit of a kerfuffle with the cook over reproductive rights (I never feel that liberal until I come home to visit) and having people asking me “if it’s possible” to get a glass of water (like within the realm of physics? No, not a chance). And, I already blew half my tip money on something shiny at Forever 21, which means I’ll be the prettiest sparkle princess those kindergartners have ever seen. I’ll consider that a business expense. Must always allow room in the budget for ice cream pie!